Everybody agrees that Manchester is a city worth discovering. With bold architecture, must-see monuments and a rich historical heritage, the UK’s second city attracts many visitors. 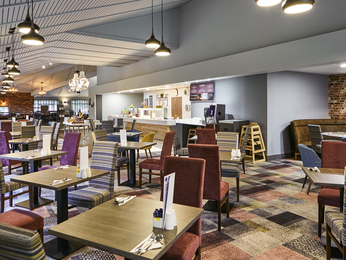 Our two hotels in Manchester city centre are well placed whatever your plans. Make a base at our city centre hotel and visit the unmissable museums, such as the Museum of Science and Industry, Manchester City Art Gallery, with its interesting collection of Pre-Raphaelite works, and the Lowry, where you can contemplate the collections of old papers, textiles and contemporary works of art. And after a day of exploring the city centre, head back to your spacious room and its specially designed and super comfortable bedding. As well as the numerous cultural highlights, Manchester is also a city that moves to the rhythm of football. If you’re attending a game at either Old Trafford or the Etihad stadium and have a couple of hours spare before kick-off, then you have to visit the National Football Museum at the Urbis building in Exchange Square first. The world’s biggest football museum, it’s easy to spend hours looking at the endless displays of memorabilia and taking part in the interactive exhibits, and what’s more, it’s completely free. 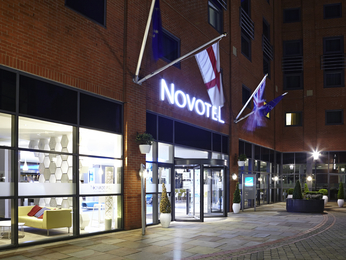 Our hotels are also well located if you’re in the city for business too, with our Novotel Manchester Centre hotel being close to the city’s conference centres and Piccadilly train station, and the West hotel is just minutes from junction 13 of the M60.